Most FPV cameras available today are primarily from the video surveillance & security industry and work very as well for FPV due to the small size and good low light capabilities. Electrical hookup is exceedingly simple. They have 3 wire outputs (ground, power, and video signal out). Ground is usually black, power red, and video yellow. Some will also have an additional 4th wire for analog audio output if the camera also has a built in microphone (this wire is generally white). Most cameras (like the majority of the FPV video equipment on the market) are designed to operate within specific voltage ranges. 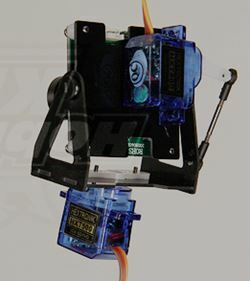 The really great thing is that this range is usually in the 6 to 15VDC range making all FPV electrical components (there are some exceptions of course) operate with 2S and 3S LiPo packs without the need of special voltage regulation. When choosing your FPV camera, you have two primary decisions to make, the imaging device type (CCD or CMOS) and the analog video encoding type (NTSC or PAL). CCD stands for charged coupling device and CMOS stands for complementary metal oxide semiconductor. So which makes a better FPV camera? 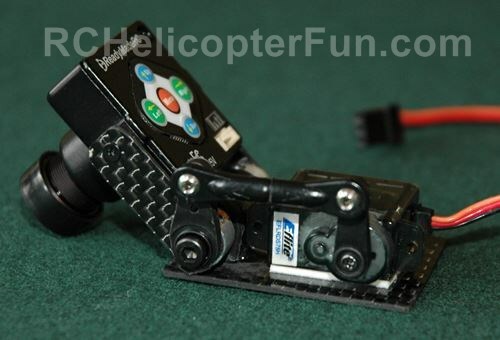 There are of course exceptions, but CCD is almost always the better choice for FPV. The NTSC (National Television System Committee) or PAL (Phase Alternating Line) video types are generally not that big of decision to make these days since most FPV components will support both types; so you are usually covered either way no matter what you get. That said, the FPV camera is the one video component in the system that is generally one or the other so you usually have to make a decision here. NTSC is the primary analog video system here in North America and PAL is primarily used in Europe. You generally want to stick with what system is used in your part of the world but there is a consideration here. Image wise, PAL does have a little better resolution compared to NTSC, but has a slightly slower frame rate. If you are trying to get the very best FPV image possible, that may be one reason to choose PAL over NTSC. That said and when in doubt (if your FPV equipment can only support one encoding type), just pick the same system that is used in your country so all your video equipment is 100% compatible. If you do however have the option to use both, most people say they can detect the slight improvement in quality using PAL, so you may want to try it. 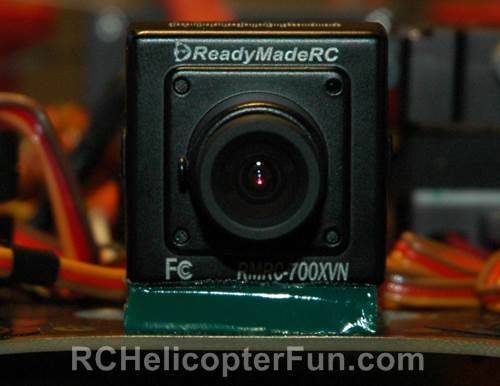 Your secondary FPV camera decisions will be size, image definition (TVL), and perhaps field of view (FOV). 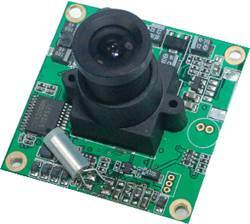 Many of the popular CCD FPV cameras used today are about 1.25 inches square (30mm or so). They are also often called 1/3" cameras because they use the very popular 1/3" Sony CCD chip. They can be encased in a plastic or metal case for protection or have the PCB board totally exposed if you want to save a little weight at the expense of protection. The encased ones weight about 30 grams and will have several different resolution capabilities. Again there are many different cameras out there, but these little square 1/3" CCD ones are the most popular right now. 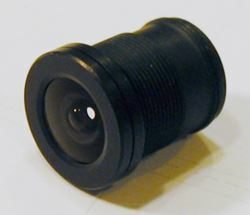 Most also allow you to thread different 12mm mount lenses into the lens body tube to change your field of view or even increase the light gathering capabilities with a lower f stop number lens (much like changing lenses on an SLR camera), making them very adaptable. The majority of these little FPV cameras will come standard with a 3.6mm focal length lens giving about a 90 degree FOV which is a nice all round field of view for FPV. The lower the focal length number, the wider the FOV (sees more of the environment but fish eye starts appearing). The higher the focal length number the more zoomed in the image will appear. 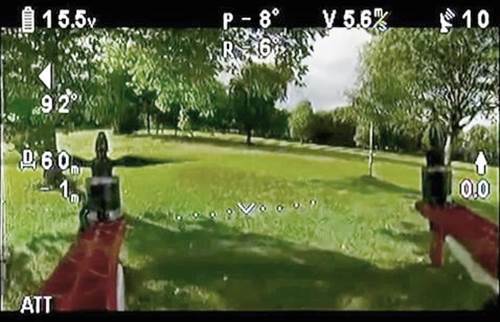 Again, stick with 3.6 mm or about a 90 degree field of view for your first FPV camera and you will have good success. These little 12mm lenses don't cost much (about $10 bucks) so it's not expensive to experiment later on if you choose one of these FPV cameras with changeable lenses. I already talked about definition (TV lines of resolution) on the FPV RC page; but as I stated, getting a camera with about 600 to 800 TVL is fine for most people (1200 TVL is about the highest definition available at a reasonable cost). Of course, the more TVL of resolution the more costly the camera so consider your budget as well. You can still fly fine with 380 TVL for example, you just won't be able to see nearly as much detail and the image will appear blurry. The image quality degrades during the wireless transmission so don't expect 700 TVL quality (assuming you pick a700 TVL camera). Again, what we see out of these 500 to 800 TVL cameras in our goggles or view screen would be comparable to a VHS image for the most part - at least that is about what I see in my particular setup (a 700 TVL camera and FatShark Dominator video goggles with a display resolution of 640x480). For the most part this camera will be fixed (not moving) at least when you start and will be looking straight ahead on the FPV aircraft. As seen above, I just had mine stuck on the lower frame plate of the F550 using some Zeal gel tape - nothing fancy at all! I could also access the menu buttons on the back of the camera though one of the upper plate cut-outs (circled in green). Not all FPV cameras have controls like that, but if you get one like this, make sure you can access the back buttons on it. One of the first "bell and whistle" upgrades I did with my little FPV camera is to build a simple tilt mount so I can tilt the camera down (using a spare channel on my radio) allowing me to view downward. On a plane this may be less important, but on a hovering aircraft, I found I was constantly wishing I could look down right below where I was hovering. I actually found myself looking downward often while wearing the video goggles thinking that I'll be able to see down on the aircraft which of course is not the case. 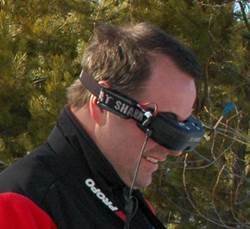 All dumb-dumb is achieving here is getting a sore neck and limiting video reception because the RX antenna on the goggles is also tilted downward. This is putting the antenna in an RF shadow when the aircraft is behind me thanks to my thick skull and the rocks that are rattling about inside. Since adding the "tilt-able" camera mount, I don't point my melon down nearly as often. You can purchase tilt and pan mounts for these little cameras if you so choose and they are easy add-ons (I just built mine with simple single axis tilt). 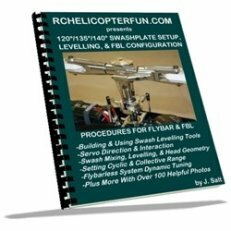 You will need two extra slider/variable output channels on your radio if you want to use two axis camera mounts; so take that into consideration if you only fly with a 4 or 5 channel radio or are using a 4 or 5 channel receiver on-board your aircraft. Pictured below is my simple light weight ball raced homemade FPV camera tilt mount which allows a full 90 degree tilt range from looking straight forward to directly below the aircraft. A lightweight micro servo is used and I just fastened the plate to the DJI F550 lower frame with double sided tape - again nothing fancy. Over & above the huge benifits now of being able to see downward, an added bonus was achieved when the camera is tilted in its full down position - the menu buttons on the back are even easier to access now. When first starting out, a fixed camera will work perfectly fine, but if you do fly multi rotor, I can almost bet you'll be adding a tilt axis of movement after you get comfortable flying it FPV style. 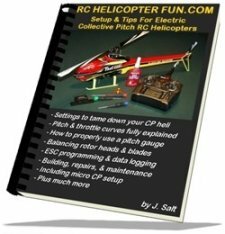 Panning on a multi rotor is not as necessary as it's on a plane since a multi can yaw while flying in any direction just as if the camera was being paned. 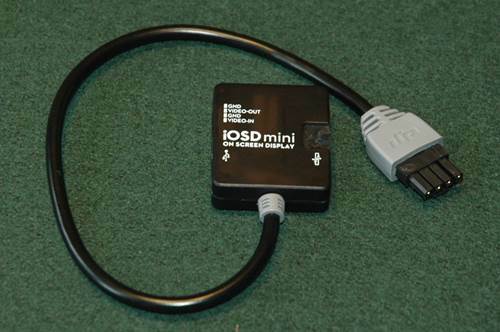 You certainly don't need an on screen display when starting out, but an OSD is likely one of the very first items you will add to your basic FPV system and once you've flown with an OSD, chances are you will never want to be without. An on screen display overlays data onto your camera image. It is simply wired in-between the camera video signal wire and the in signal wire going to your video transmitter. The information it displays varies between OSD's, but most have information such as flight battery voltage, GPS signal strength/satellite count, flight speed, altitude, compass heading, home/take off position indicator, distance from home, artificial horizon indicator, vertical speed indicator, other on board sensor telemetry, flight time, etc. It's similar to having a heads-up-display in a full size aircraft in other words. 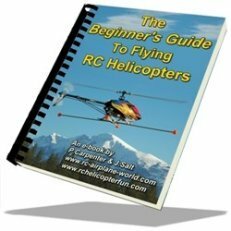 This is not only neat and useful info to have access to, but it will really add to your FPV fun and further immerses you in a true flight experience. For OSD systems to work (at least to their full potential) they also have to be hooked up to a GPS antenna as well and can also double then as auto pilot systems with on board gyro's and accelerometers involving fairly extensive wring. Other OSD's such as the iOSD Mini I use in my DJI F550, communicate directly with the flight stabilization system/computer and its GPS/magnetic compass antenna through a single plug using the DJI's Naza Can-Bus network. This again is why I chose the DJI F550/Naza M V2 due to the very simple and easy hook up/integration of all the components for my very first FPV build. At any rate, I pretty much knew before I even decided on what FPV equipment I would using, I wanted an OSD out of the gate and could not be happier with my decision to do so from the get go. I very much find having & seeing all that real time data is comforting during the flight. Somewhat like driving a car with, or without an instrument cluster. The data I like seeing the most is my battery voltage, aircraft speed, vertical speed, artificial horizontal indicator, GPS signal, distance from home, and the home direction indicator (it points back to your position in case you get lost up there - which is actually very easy to do when you are not used to an aerial perspective of your surroundings).